Barcelona is one of the most famous and most visited city in the world. It has a range of 32 million of tourist every year, and 18% of the revenue of Barcelona´s commercial sector which estimated of 2000 million euros every year. Barcelona is an all in one city. You can visit an old city which shows the history. Let us not forget the architectural design from the famous, Antoni Gaudi. And of course, the beaches of Barcelona. Those are just examples of what you can see in the small city of Barcelona. 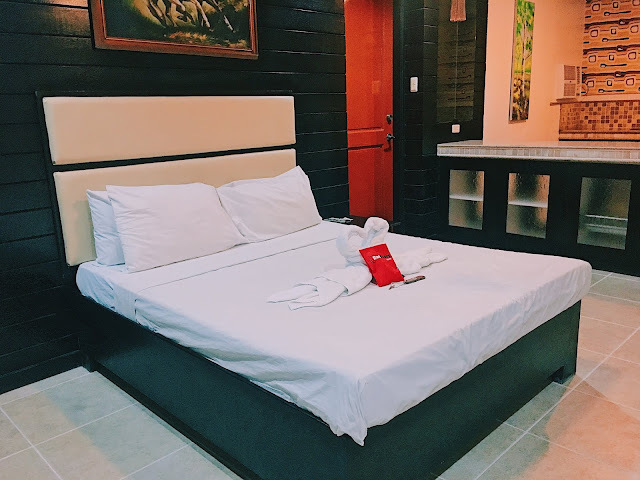 It is not hard to travel because every touristic places are just near to each other and you have a lot of mids of transportation such as buses and subways. 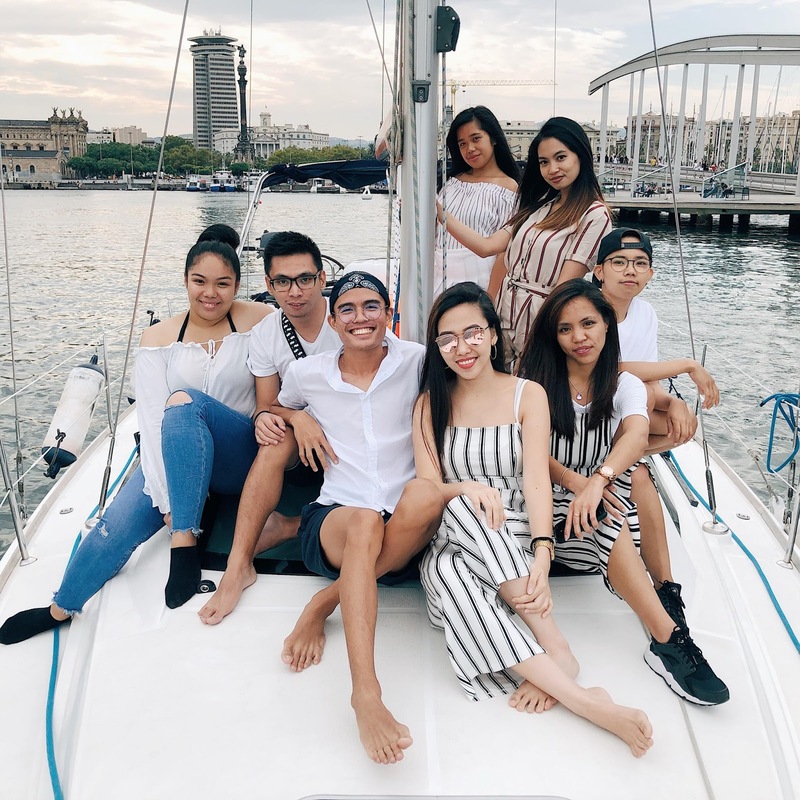 During summer, we can say that the busiest industry in Barcelona is the hospitality industry because of the huge number of tourists that come from all over the world. But that does not mean that the quality of service will be affected. The country of Spain are kind to accept different people from different countries like Philippines, China, Peru, Pakistan, etc. Most of the people behind the great services are from these people. There are a lot of things that you can do in Barcelona. One of these is renting a private yacht for you and your friends or family. Last 10th of September, we rent a private yacht for the birthday celebration of my friend. This activity is not only for tourist, but as well for the residents of Barcelona and cities nearby. This is good for a different kind of celebration like birthday, anniversary, or even just a get together with your closest friends or family. We reserved an exclusive yacht for 8 people that is good for 2 hours. It cost us 300€ and we divided it. You can directly visit the website for more activities. 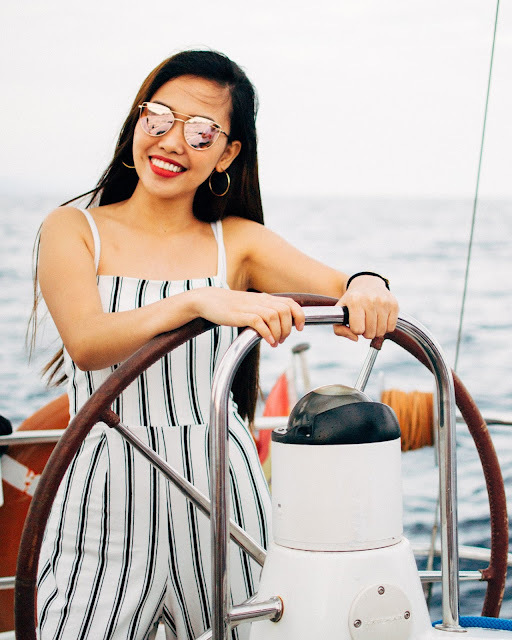 Sail with your own private sailing yacht along the Mediterranean coast of Barcelona, along side with professional skipper. You can enjoy it with your closest friends and/or family, enjoy this unforgettable experience whilst seeing Barcelona like never before. These are included in our package and they are unlimited. You can ask them to bring you another snacks or drinks, you just need to ask them. But take a look the ¨about¨ section while reserving to make sure of products inclusion for it may vary depends on type of package you are going to take. They also have variety of schedule and you can choose depend on your availability. Going there, you will have a pick up point which is Portvell. Better to be in the port 15 minutes prior your schedule to maximize your scheduled time. This activity is best during summer and sunny day. Winter or cold days might be a bad choice for big waves surely will appear. The professional skipper will give your brief information for your safeness and things you should be reminded of. 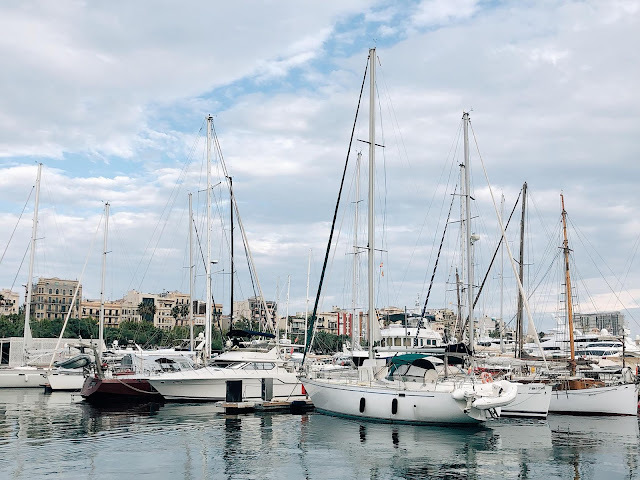 Your yacht can stop in the middle of the sea depends on the weather. They have enough life vests for all of your. It is a relaxing activity for yourself and for your loved ones. You also have an unlimited drinks for you! For millennials like us, we like this kind of activity where we enjoy time with ourselves and our loved ones. Barcelona is beautiful and we can take unlimited of beautiful and amazing shots. Barcelona looks amazing. Love how you captured it! loved this, great pics, super informational!! Some great information here! Looks like y'all had a blast! Wow this is really neat! I would love to do this some day! What an amazing experience!! Barcelona, Spain is one of my favorite places to visit in the summer. I will have to try this out next time for sure! Great post! Wow this looks so amazing!!! I have always dreamed of finally going to Barcelona!! Thanks for sharing us the details! Oh my goodness, your pictures are all so lovely! I never take enough pictures of people :) I am dreaming of going back to Europe and have NEVER been to Spain, so this is definitely going on my list! This looks like it would be such an amazing experience. 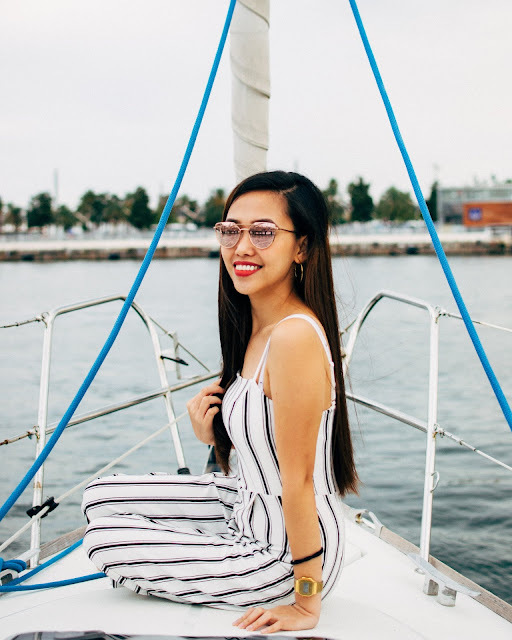 I have only ever been sailing one time before. This sounds like a wonderful experience to enjoy if you have a group. There are so many options and choices and the pictures look amazing . I can only imagine how great of an experience this would be! Sailing in Barcelona sounds spectacular! Oh wow! That looks like such an amazing experience! Definitely need to add it to my bucket list! It looks like you had an amazing trip. This sounds like so much fun. 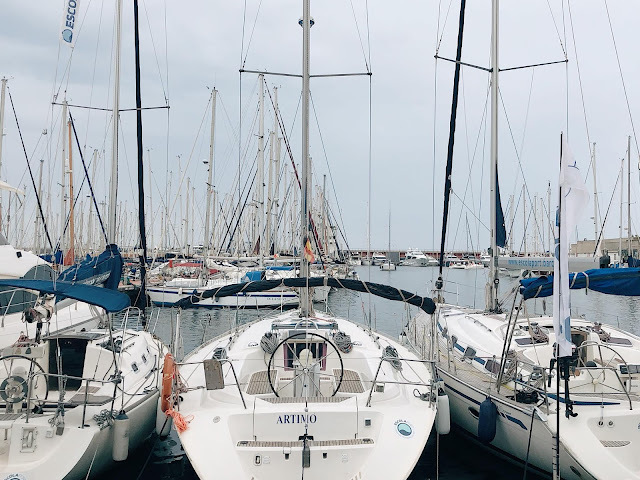 How cool that you went on a sailing trip, and in Barcelona! I have never gone sailing. 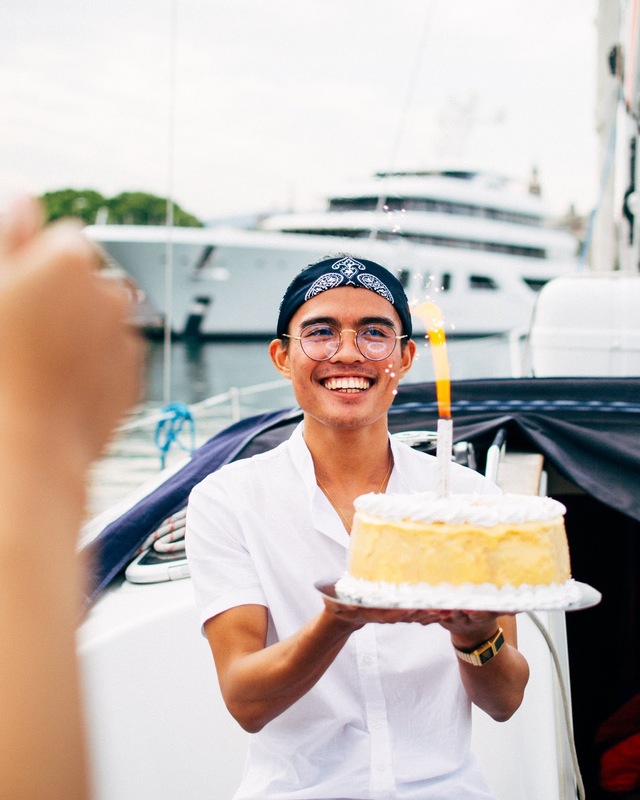 Renting a yacht sounds like a great way to have a family birthday celebration. Thanks for sharing the idea! Ive always wanted to go to Barcelona but this would be amazing to sail with this experience. And there are options to have wine and food too I would do this! What an amazing opportunity. I didn't know that you could rent yachts in Barcelona. I love your very informative post. You guys looks like you were having so much fun. I love Barcelona it is so beautiful, especially the architectural design. I would love to go back with some friends so we can rent a yacht. I love the photos you took of your trip. What kind of camera did you use? I am looking for a good small camera for travel. I would love to experience a boat like this. 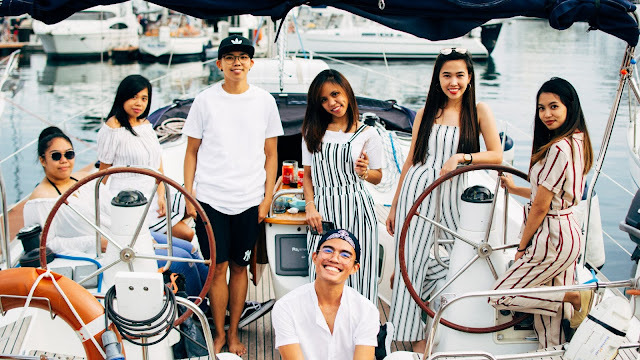 Food and fun on a boat sounds so awesome! Loved your pictures!